Catching Up With A Recent Winner: Meet Monet! Monet Rhoden, recent winner of the Spread The Holidays weekly contest. I had the pleasure of catching up with our recent winner of the Spread The Holidays promotion yesterday! 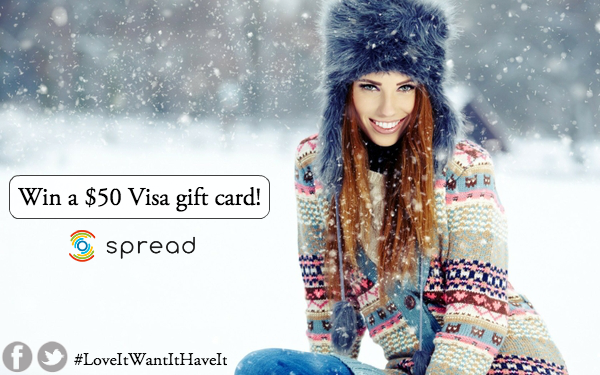 Monet Kasha Rhoden signed up for Spread and ended up winning a $50 Visa gift card as an early Christmas present! 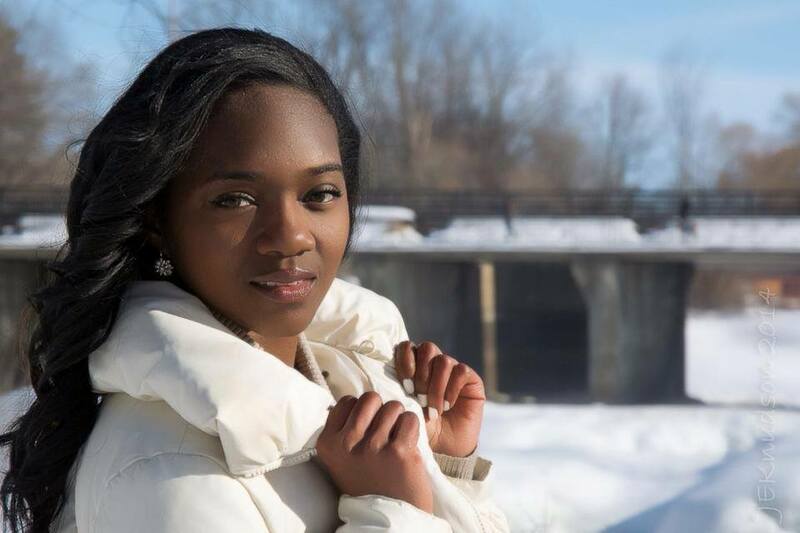 Monet Kasha Rhoden is a student at Carleton University, a cheerleader for for the Ottawa Skygirls, and a writer for both The Charlatan and Her Campus Carlton. This busy young student/professional heard about Spread from a friend. Being a fashion lover, she knew that downloading our free iOS app was an easy choice. What does she like most about Spread? What are her favourite brands? What are you going to spend your gift card on? Catching Up With A Recent Winner – Meet Hannah! I had the pleasure of catching up with one of our recent winners from our Spread The Holidays promotion! For those of you who don’t know what that is, we’re currently running a weekly holiday promotion. Simply sign up for Spread online or on your iOS device for your chance to win a $50 Visa gift card! It’s that easy. Back to our winner. Meet Hannah! This southern Massachusetts girl is a lover of horses, nature and you guessed it, fashion! For Hannah, there’s no particular brand that she’s fond of – if the style fits, she likes it. She’s been eying a pair of shoes from a brand she just recently heard of, all thanks to using Spread. Hannah signed up for Spread, searched the discovery feed for some fashion inspiration, and voila! Now she has a $50 Visa gift card and a new pair of Kenzo shoes. Spread The Holidays Weekly Contests! Our “Spread The Holidays” promotion has officially started, so find out how you could win a $50 Visa gift card every Friday for the next 4 weeks! If you don’t win, simply try again the following week! Every time someone shares or retweets your Facebook or Twitter post, it counts as an additional entry! Multiple account sign ups will not be counted towards the contest. When sharing a post from the Discovery Feed to Facebook or Twitter, please make sure your post settings are set to “public”. Winning A Prepaid Visa With Spread Is As Easy As 1, 2, 3! Our “Spread The Holidays” promotion starts on November 3rd, so we thought we’d give you a step-by-step tutorial on how to participate for your chance to win a $50 prepaid Visa gift card! There are 3 easy steps! Sign up with spread at http://www.loveitspreadit.com. For those of you who are already members, great – move on to step 2! “Want” at least 20 items from the discover feed – this will act as your wish list. Share an item from your wish list on Facebook or Twitter – don’t forget to include your spread username and the #LoveItWantItHaveIt hashtag! It’s as easy as that! We’ll be selecting a winner every Friday at 5pm EST, so make sure you get your entries in fast! Every time someone shares or retweets your post on Facebook or Twitter, it counts as an extra entry for you! If you have any questions or concerns regarding the rules or guidelines of the contest, please feel free to comment below! If you like what we’re doing, don’t be a stranger! Connect with us on Facebook and Twitter – we appreciate all feedback. Starting Monday, November 3rd we’ll be running spread’s first holiday promotion! We’ll be giving away gift cards every Friday for a 5 week period. So make your holidays memorable and learn how you can take part in our weekly contests! – Every time someone “Shares” or “Retweets” your Facebook or Twitter post, it counts as an extra entry! **Don’t forget that #LoveItWantItHaveIt hashtag!